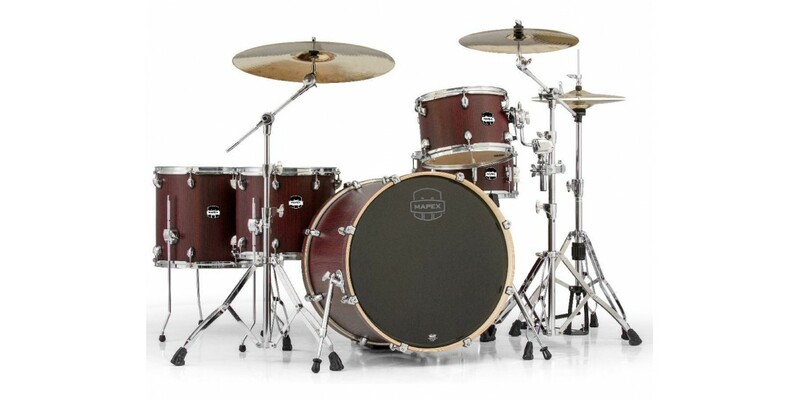 The Mapex MA529SFGW is a Mars Series Crossover Shell Pack made of 100% birch with 6 Ply. 7.2 mm shells. This Crossover is perfect for players who want a powerful rock sound with a single rack tom for closer positioning of their ride cymbal because of it's 1 up and 2 down configuration. The shallow depth shell and SONIClear bearing edge produces a unique yet clear tone without any unwanted frequencies. The SONIClear tom suspension and floor tom feet increase the overall resonance of the kit and preserves the vibration within the shell. By adding this to the kit, it helps keep your drums in tune by relieving the added stress put on it's tension rods. 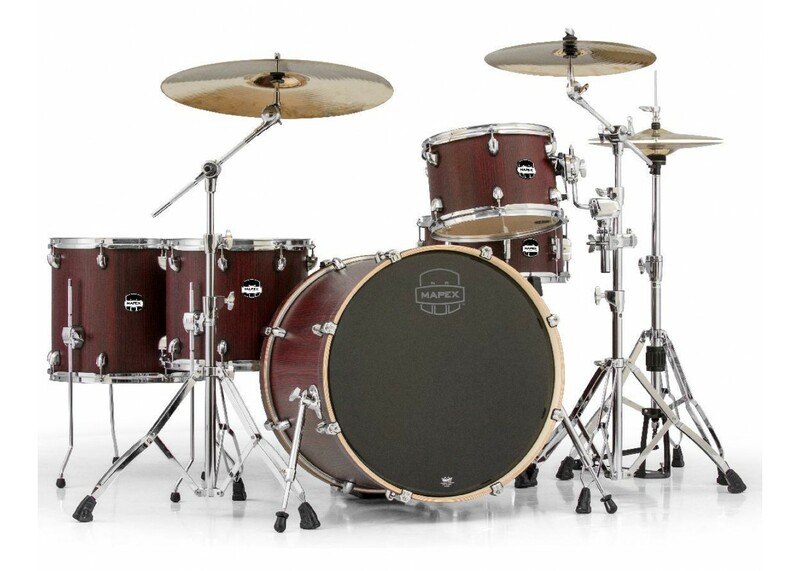 This versatile drum set is great for all different genres and the Bloodwood finish with chrome hardware, gives it that polished, sleek look. Comes with a 12" mounted rack toms, 14" and 16" floor toms, 14" snare and 22"x18" kick drum.